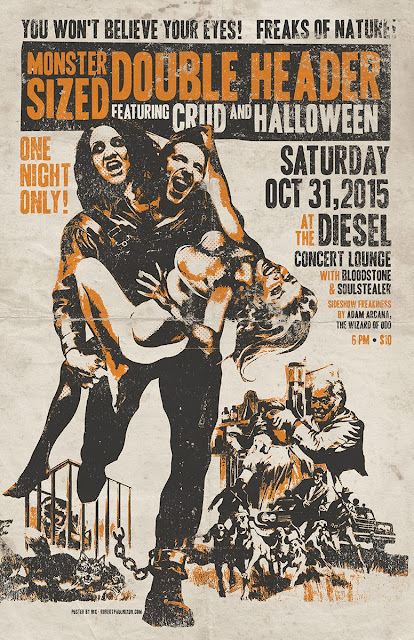 It all goes down TONIGHT (October 31, 2015) at the Diesel Concert Lounge Detroit. Two stages featuring headlining acts Crud and Halloween! Think Fight Club meets Clockwork Orange...Think you've seen anything like it? Think again! The Heavy Metal Horror show returns! The band will be celebrating 33 years of history on this night. Plus Sideshow freakery by Adam Arcana (aka The Wizard of Odd). Costumes encouraged! Tricks and Treats all night long! The Diesel Concert Lounge is located at 33151 23 Mile Rd, New Baltimore, MI 48047. 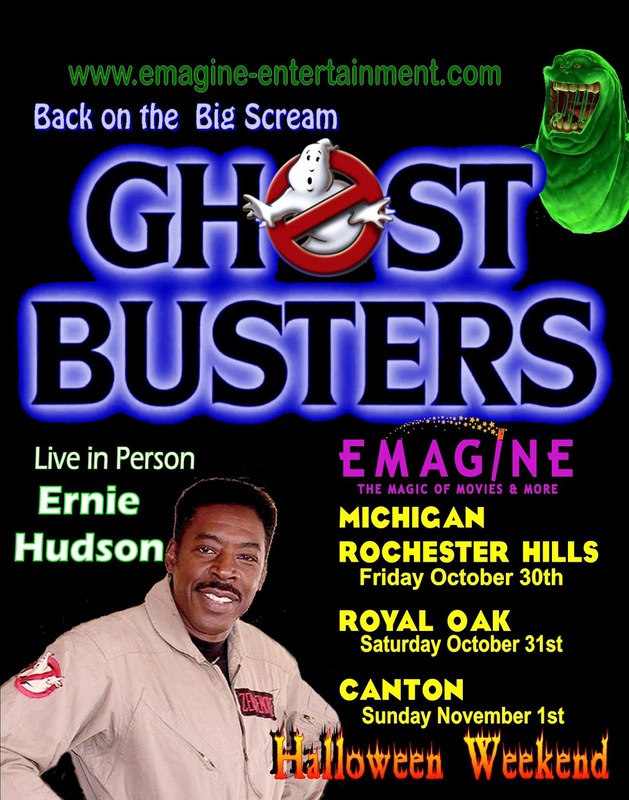 This Halloween weekend three local Emagine Theatres are showing the 1984 classic comedy/science fiction film “Ghostbusters”. 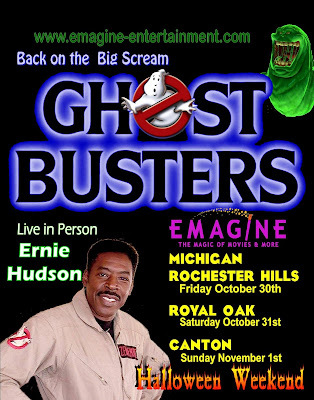 The original 1984 film has been fully restored and re-mastered in 4K and Michigan native and original paranormal investigator Ernie Hudson will be hosting this throwback event. Ernie will be available for autographs and posed photographs (for $30.00) through the entire weekend. For more information visit the Emagine Theatre website HERE. Looking for something cool to do this Halloween? Look no further because The Redford Theatre has a fun filled night for you with two movie screenings. 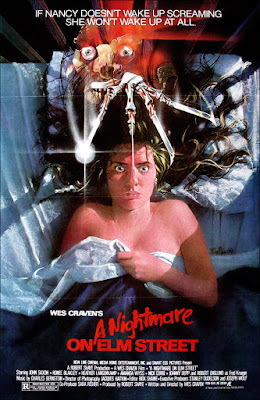 At 11PM is a screening of Wes Craven's 1984 horror masterpiece A Nightmare On Elm Street. 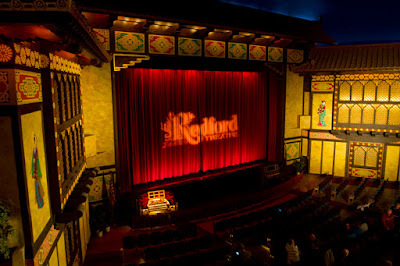 Before this film they will be showing a dozen or so 70's and early 80's 35mm preview trailers of horror and exploitation titles from the Fox Theatre when it was showing grindhouse titles before its restoration. 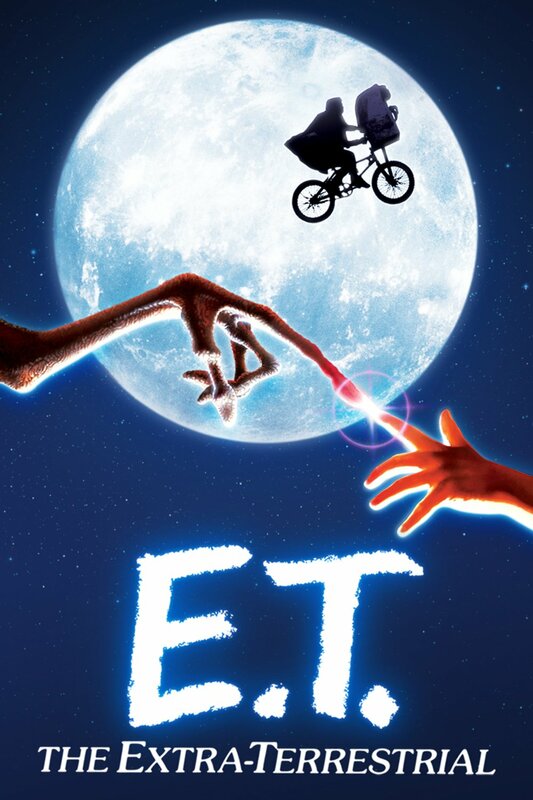 Tickets for both shows are $5.00 with kids 12 and under getting in for FREE for the screening of E.T. to either the E.T. or A NIGHTMARE ON ELM STREET screening. Email us at ambervillainfilm@aol.com with either the subject "E.T." or "NIGHTMARE" to be entered into the drawing to win a pair of tickets to the movie screening on your choice. Include your full name in the body of the e-mail. 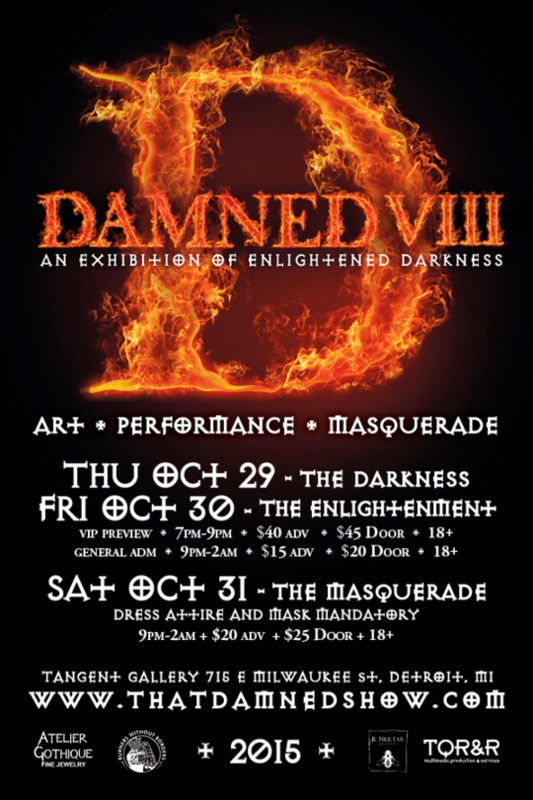 Detroit, MI - On October 29th through 31st 2015 at the Tangent Gallery/Hastings St Ballroom in Detroit comes an extraordinary assemblage of 174 artists from across this world to display 183 of their most introspective creations at the Eighth Annual DAMNED Exhibition of Enlightened Darkness. From the infamous to the freshest of local and international talent, this prodigious congregation will allow us a glimpse within the diverse shadows of id and ego…of overall mind and encompassing soul guaranteed to intrigue, disturb, inspire or repulse. 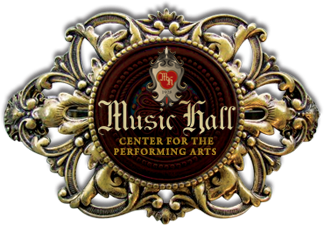 This is not Halloween-themed art but an immersion within the immeasurable realms of consciousness through an elegant ambiance of live ethereal music and cirque/butoh-inspured vignette performances. 10/29 “The Darkness” – A night of introspective exploration within the shadowed and primal essence of self. This opening night features an intimate VIP Preview/Artist Reception, a formal absinthe tasting, on-site chef-prepared hors d’oeuvres and experimental aerial and butoh-inspired performances. 10/30 “The Enlightenment“ – A night of the extrospective self enlightened through light, fire and the ethereal. This night features a VIP sampling of internationally-inspired tapas with flavored mead tasting courtesy of B Nektar and exotic fire, aerial and experimental performances. 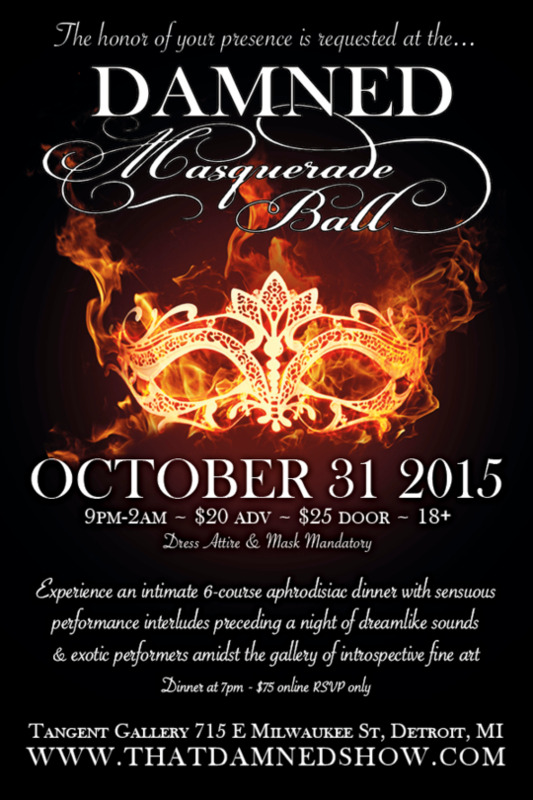 10/31 “The Masquerade“ – A festive celebration through a menagerie of exotic cirque, sensual rhythms and masquerade. This closing night features the formal mask-mandatory masquerade ball, an elegant seated 6-course aphrodisiac-inspired dinner, sensuous dance performance interludes, a Masquerade Fashion Show, the dreamworld aural ambiance of DJ Mikey, Zumby and Slofu from Strangeways Radio and Happy Endings and a menagerie of strolling cirque performances all night. This night is mask mandatory and proper attire only. DAMNED, first and foremost, is an exhibition of the intensely personal creations that are often born from within the artist’s most darkest hours that often returns them towards the light. DAMNED then cultures an intriguing visual ambiance of art-inspired explorative performance vignettes with the region’s most creative talent including Satori Circus, Detroit Circus, Miss Pussykatt and many others. Aurally, the haunting gallery soundtracks are custom designed by Life Toward Twilight with the mesmerizing live music ambiance of Dixon's Violin and Marcus Copernicus. Then on Saturday October 31st, DAMNED will heighten the exhibition towards a sensuous celebration of extravagant delicacies, libations and dance with a formal, mask-mandatory Masquerade Ball. Beginning at 7pm, a very intimate VIP engagement will commence as we usher you to your private seat for an elegant Six-Course Aphrodisiac-Inspired Dinner created by our own DAMNED chefs. Between courses, brief interludes of intriguing dance performances will further enhance the senses and inspire. Exotic desserts and keepsake photograph are also included. The public doors then open at 9pm with a special Masquerade Fashion Show at 9:30 amidst the art. Then from 10pm until 2am, the evening becomes enveloped with the dreamworld aural ambiance of DJ Mikey and DJ Zumby from Strangeways Radio with DJ Slofu from Happy Endings bringing a carefully selected mix of ethereal dreampop, lush trip hop and smooth grooves all blended with alternative classics for a night that will delight your sonic senses. All within a menagerie of exotic cirque performances throughout the venue. Tickets are now available online and at Noir Leather in Royal Oak, Showtime Clothing in Detroit and V-Male Vintage in Dearborn Heights starting at $10. Visit the DAMNED website at “www.thatdamnedshow.com” to review past photos, find further detailed information and to purchase advance tickets. The Tangent Gallery/Hastings Street Ballroom is located at 715 E. Milwaukee St. in Detroit. DAMNED founders, artists and performers are available for interviews. HELP US HELP DETROIT’S HOMELESS: At midnight during the masquerade ball, a single winner will be chosen to win a unique and exquisite prize: The Detroit Deconstruction Skull Ring© ($980 SRV) created by avant-garde fine alternative jeweler Atelier Gothique. All proceeds from the raffle will go to benefit our favorite charity, Burners Without Borders, to help feed and clothe those in need on our city streets through the hand packing and one-on-one giving of survival backpacks. Each year, the raffle has raised up to $1300 that went directly to our favorite charity, Burners Without Borders Detroit, whose sole mission is to help feed and clothe those in need on our city streets through the hand packing and one-on-one giving of survival backpacks. These packs contain a variety of simple needs often taken for granted within our busy lives: toiletries, feminine products, underclothing, canned goods, water, plasticware, the back pack and more. BWB also collects hats, gloves, coats, and blankets during our colder months to coordinate volunteer drives to find and give to those sleeping in the streets. This is real-life grassroots community “giving” by volunteers in the true spirit of the word with no corporate management profiteering! Be the change you wish to see in Detroit! The DAMNED chefs will be preparing the first two menus live during the exhibition and vegetarian versions will be made on request. DAMNED also uses compostable and biodegradable serving products from Green Safe. As we all know, Detroit is on hard economic times and it’s getting harder. This is when community-led grassroots organization and networking is needed to help address gaping needs where existing cultural and societal systems are failing. 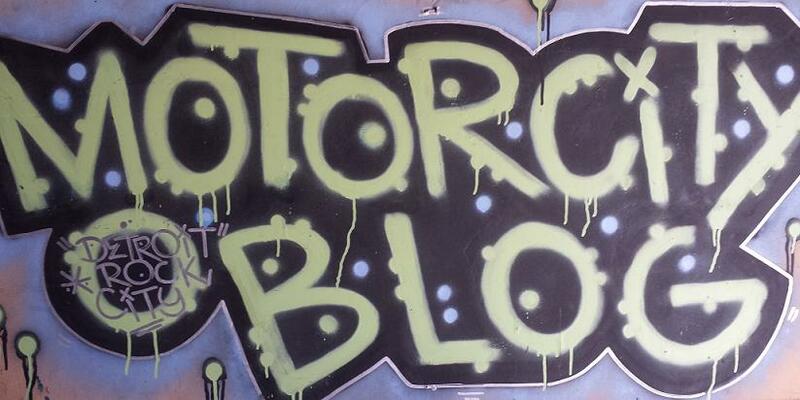 Burners without Borders Detroit (BWBD) is a local chapter of a worldwide volunteer-based outreach organization coalesced from a collective instinct to serve and assist those in need on our streets with the dignity and respect they deserve. Over the past seven winters, BWBD has collected thousands of items generously donated by the community and organized hundreds of volunteers to create supply-filled backpacks to give directly to those who do not or are unable to go to shelters during the cold months. Since 2009, the DAMNED Exhibition and fine alternative jeweler Atelier Gothique have collaborated annually with BWBD to coordinate collections of needed canned food and financial donations through admission discount offerings and fine jewelry raffles. Through this, we have been able to purchase hundreds of new backpacks each year and fill them not only with the donated canned goods, but with purchased items such as hand warmers, blankets and toiletries. We hope to continue with the goal of giving over 300 backpacks this year, perhaps with a gift certificate to a participating local restaurant so the homeless are able to escape the extreme weather and find some comfort. As we begin this year's campaign in collaboration with DAMNED and Atelier Gothique, we thank each of you for your past donations and for any future assistance you give to Burners without Borders Detroit. Please know that we can not do what we do without the generous help of people like you. TORRES OPENS FOR GARBAGE IN DETROIT! 2 FREE TIGER STADIUM DOCUMENTARIES THIS WEEKEND!